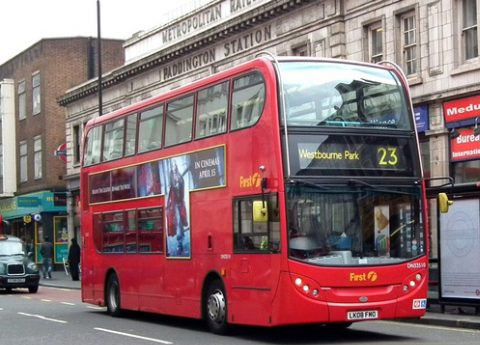 Even though there are a few bus routes that London guides recommend for the best views of the city, my all time favourite is bus route 23, from Westbourne Park to Liverpool Street. This paper toy is a simple double decker bus. 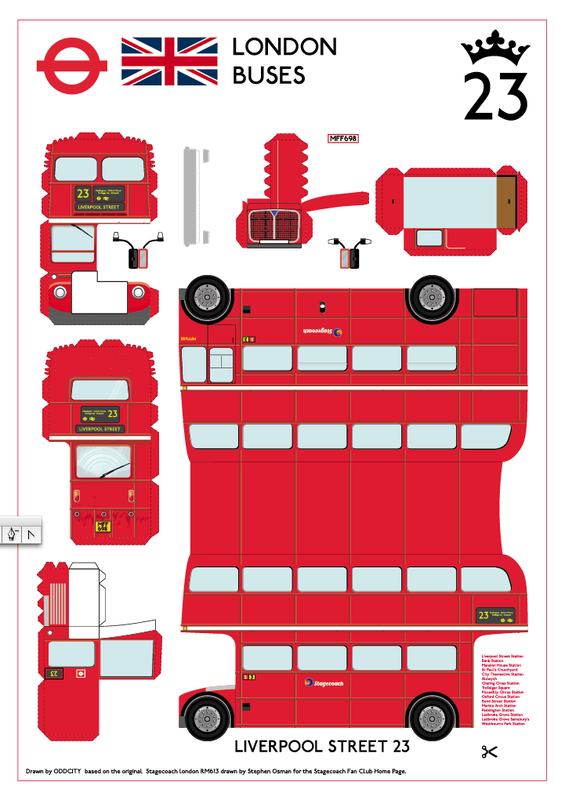 You may get this old double decker bus papercraft template here. 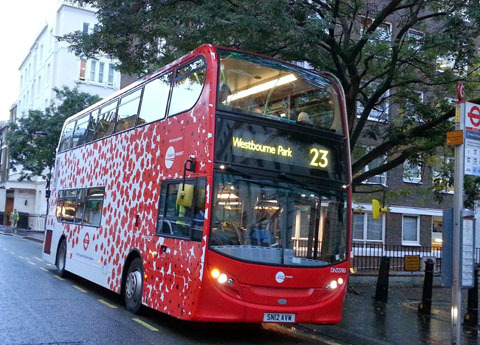 The route starts at Westbourne Park and goes through Ladbroke Grove in Notting Hill. It continues to Queensway, Bayswater and goes past Paddington towards Marble Arch. 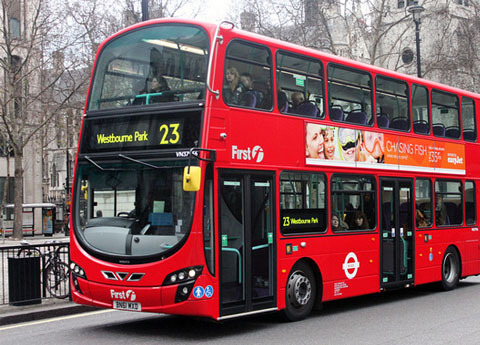 Then it continues down Oxford Street, the famous shopping street, and Regent Street and goes past Trafalgar Square, where you will find The National Gallery and National Portrait Gallery. 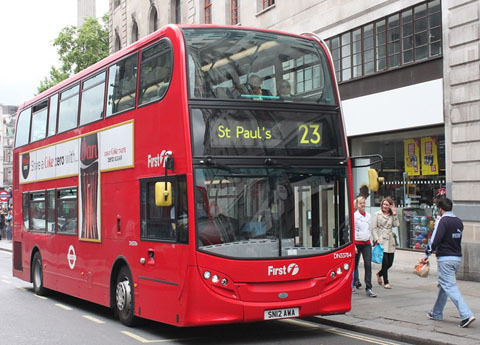 Last stop is Liverpool Street station, and you can take the train for a day outside London. drawn by Stephen Osman stagecoach fan club page.